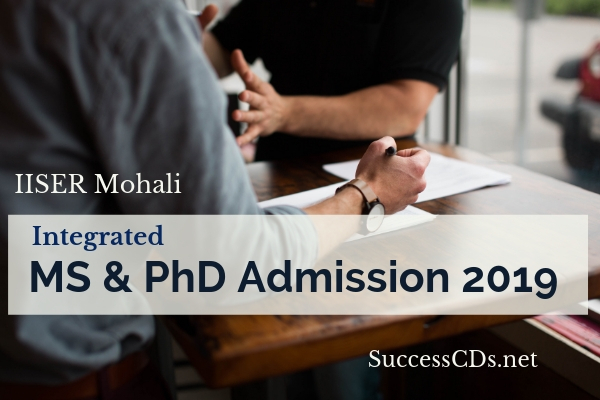 Interested candidates can check all the details of Mohali Integrated MS-PhD Admission 2019 like application form, eligibility criteria, selection procedure etc from this page give below. The Program will involve coursework as well as research work. Successful completion of the program will lead to an MS degree and a PhD degree. The applicant should have a Bachelor's degree in Science and related areas with a good academic record (at least 60% aggregate or at least 6.0 on a scale of 10).